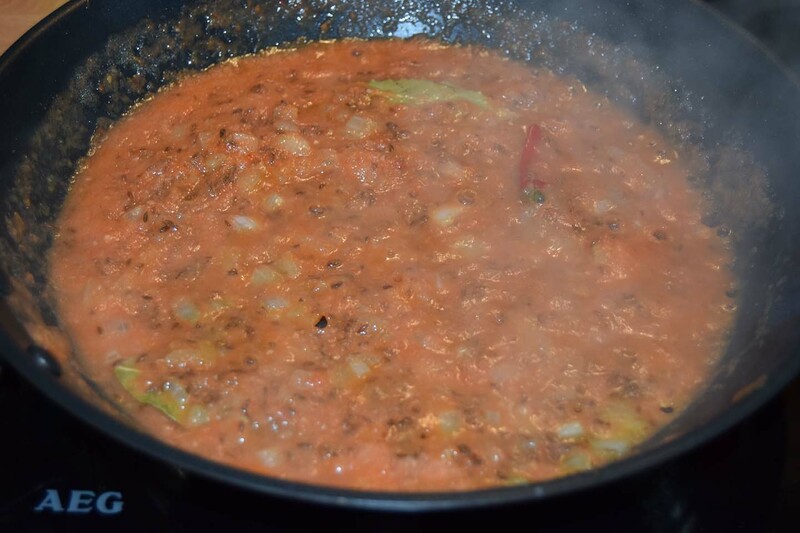 This is a great vegetarian curry, it is really flavoursome and filling as the main ingredient is the lentils. 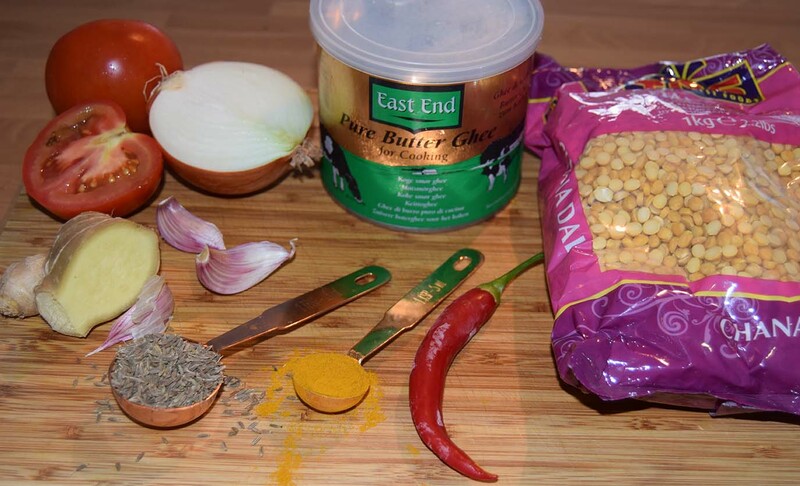 This is such a simple curry to make and tastes amazing. 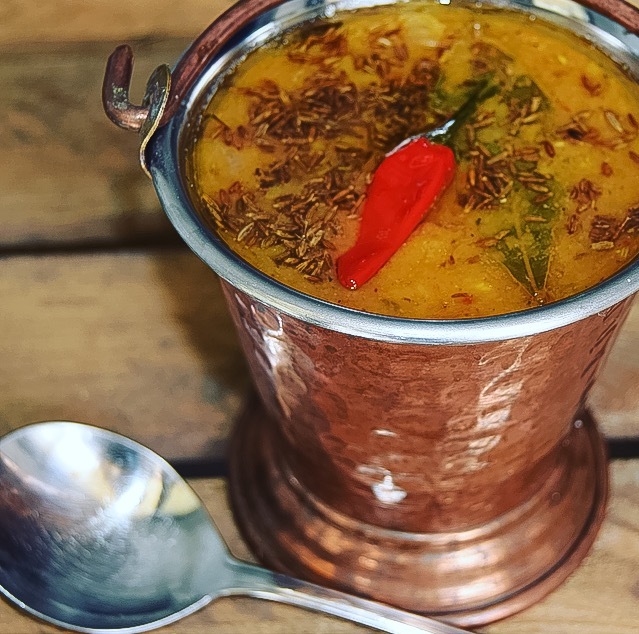 The tadka is the spiced fat topping to the dish; it is a good way to add extra flavour to the dish without over cooking. 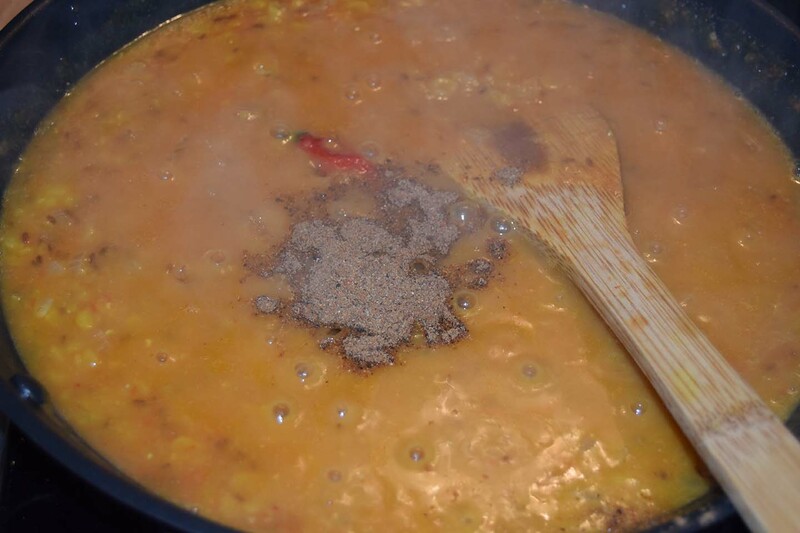 It is poured over the dal at the end. 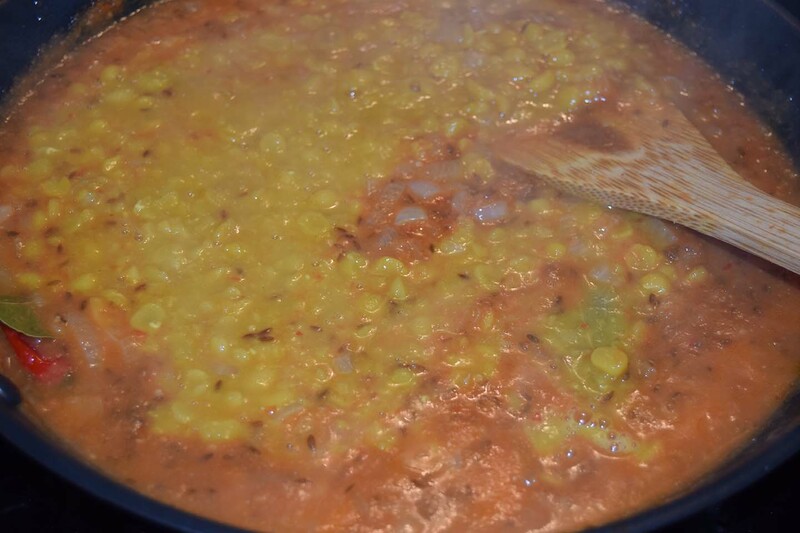 Boil the lentils in the water with the salt and the turmeric. Keep an eye on this, you may need to keep adding more hot water, it should take around 1 hour to cook. What we are looking for is a soft lentil that squashes easily with your fingers, and a thick liquid. 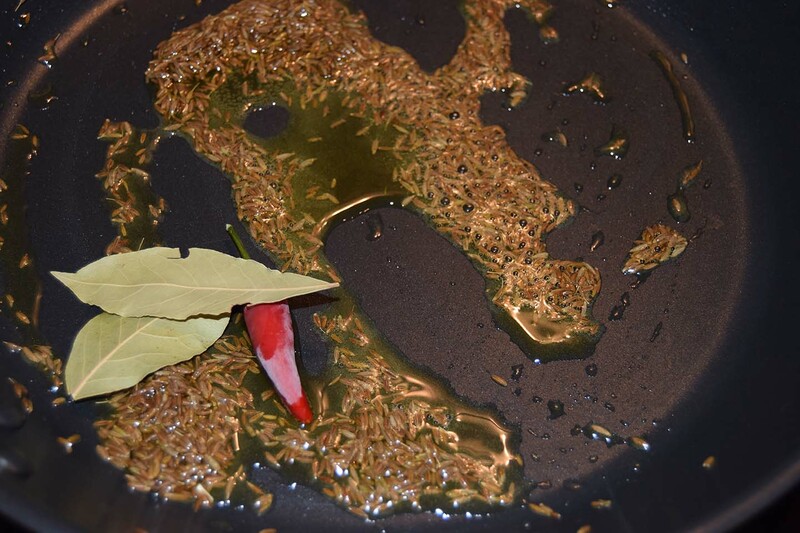 Heat the ghee in a pan, add the whole chilli and cumin seeds and the bay leaves, cook for a minute. 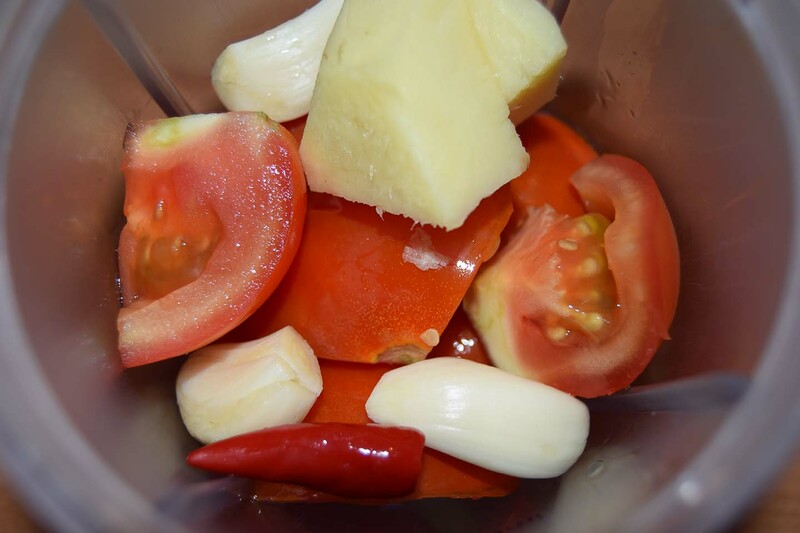 In a hand blender blitz up the tomatoes with the garlic and ginger to create a paste. 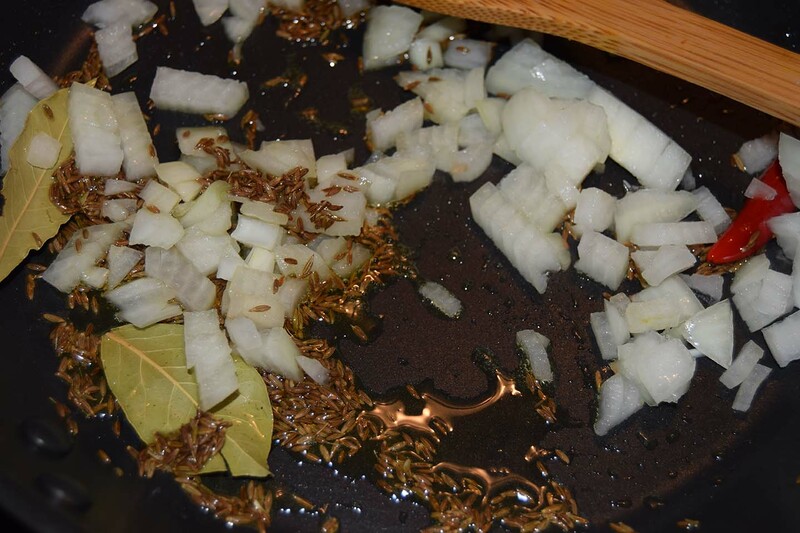 Add this mixture to the pan with the onions and stir well. Add the coriander powder and let this bubble away for 10 minutes. Check on your lentils, if they are soft then you can add these to the curry sauce along with the liquid. Mix well and then add the garam masala, and a handful of chopped fresh coriander. Mix well. 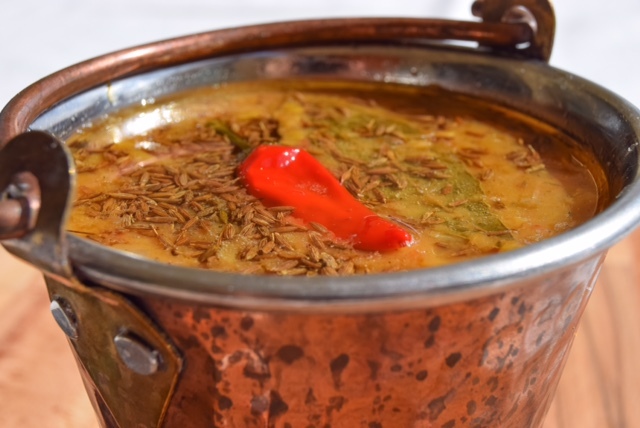 Heat the ghee in a sauce pan, add the chilli and cook for a couple of minutes then add the cumin seeds, cook for another couple of minutes then pour straight over the dal curry. Serve up with your favourite breads. 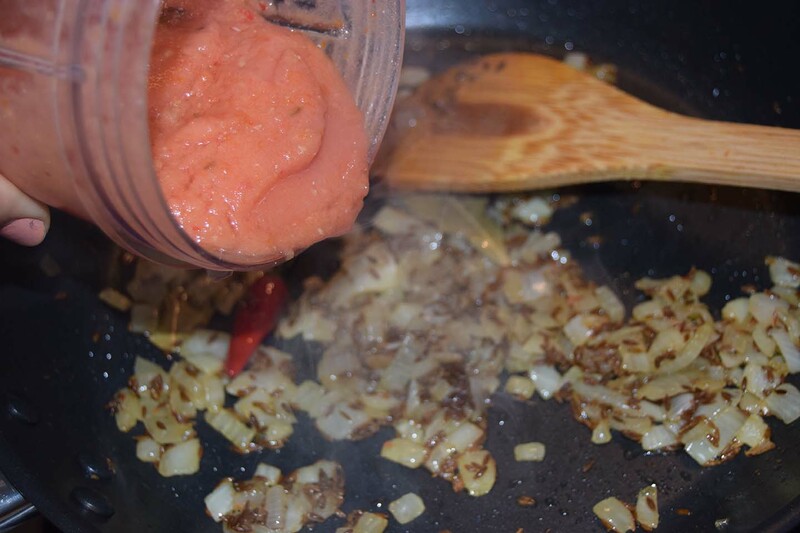 Heat the ghee in a pan, add the whole chilli and cumin seeds cook for a minute then add the onion and bay leaves. Cook until the onion is soft.